ColorMasters is a primary jewelry manufacturer of precious gemstone and diamond jewelry of the highest quality and standards. Established over twenty years ago, Colormasters began as a supplier of fine gemstones servicing the needs of fine jewelry manufacturers and retailers throughout the United States. Operations were expanded in the early 90's to include manufacturing so that the company could better serve its retail clientele. Having gained a reputation for outstanding quality and service within the trade, ColorMasters designed a long-term growth plan based on those values through which their success was built. 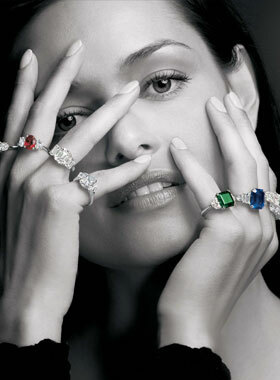 ColorMasters is now a leader in the luxury market for high quality classic jewelry. Through vertical integration of all internal gemological and manufacturing processes, the company has been able to strengthen the exceptional quality and service standards to which it remains committed. Over 100 employees strong, ColorMasters now functions efficiently within a departmental structure that includes sales and customer service, product development, quality control, lapidary, jewelry, setting, polishing, casting, tool and dye, machining, and a state of the art CAD Design Dept. Each area is lead by trained, professional managers dedicated to achieving the standards of superior quality while maintaining a productive environment. The ColorMasters quality commitment transcends to every facet of the organization, including gemological practices. The staff of certified gemologists examines each and every stone for authenticity and defects upon receipt and prior to shipment to customers. All gemological information is kept current. ColorMasters, dedicated to the highest standards of quality and service, continues on a path of strategic growth as a leader in the fine jewelry industry.